Receive your FREE Special Report "Ten Techniques To Instantly Make You A Better Closer" when you confirm your subscription. 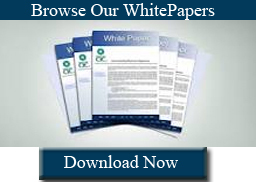 Link included in your first issue! I hate spam as much as you do, and I will never, ever sell, loan, rent or give your email address out, and my unsubscribe links really work! “I’ve been using your weekly tips for months now to breeze past gatekeepers (a real struggle in this modern age of the phone sales savvy receptionists and personal assistants) and get to real decision makers. Now I’m qualifying better and separating buyers from people I used to waste time with. 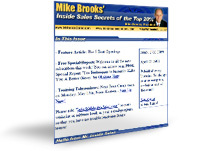 Then You Will Love The “Inside Sales Secrets of the Top 20%” Ezine. Each week you will Find Proven, Current and Effective REAL LIFE cold calling, qualifying and Closing tips THAT REALLY WORK! The Bottom Line is That if You Want to Get Better, Close More Sales, Have More Fun on the Phone, and Start Living the Life You Know is Possible (Heck, the Top Closers in Your Office are Already Living it, Aren’t They?) Then Start Learning and Using the Top 20% Inside Sales Tips TODAY! 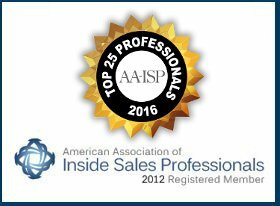 Contact Us | 1.919.267.4202 | Copyright 2017 © Mr.InsideSales.com, inc. All Rights Reserved.